The latest 12 page catalogue featuring new products and special offers from Tech ‘n’Tools is now available from Motor Factors and Tech’n’Tools stockists nationwide. 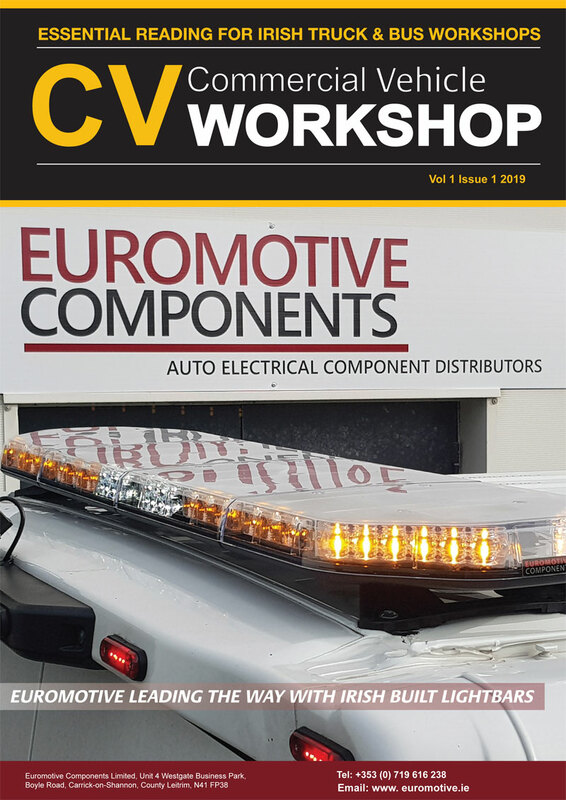 The catalogue complements TnT’s other publications – AirCon Programme (featuring everything you need from machines to F-Gas training), Welding & Air Solutions and Diagnostics & Test Equipment brochures. All publications can be downloaded from www.techntools.ie or are available from your local TnT stockist. TnT Solutions offers new products and special offers hand picked for the automotive Technician. 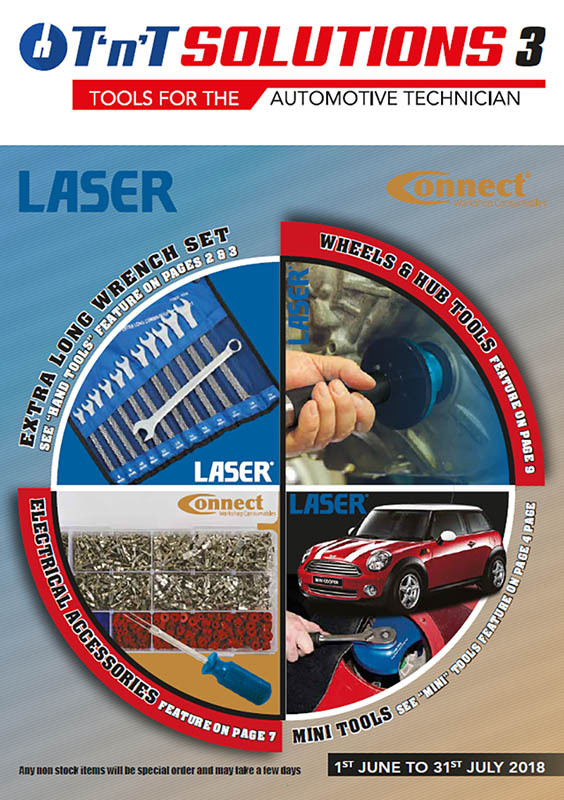 Laser Tools provide hand tools, specialist tools, workshop equipment and workshop essentials. There is a page dedicated to the repair of the Mini, offering all the specialist must have tools, the Connect range features some great new products featuring Volkswagen electrical connectors and assorted fuel line connectors which have proved very popular. Wrenches and socketry are covered on page 2, LAS6203 is a firm favourite with the automotive technician. This ½ “ extra long ratchet is also available in ¼ and 3/8” drive. The automotive technician values the benefit of having innovative and specialist tools saving them time and money. The ‘Hands Free’ suspension arm lever (LAS6936) highlights this fact making jobs easier and safer.